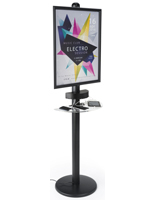 What is the role of iPad docking stations in public settings these days? 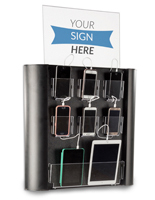 As Apple® and Android touchscreens continue to dominate the technology market for personal and business use, there arises an even greater need for ways to support frequent and prolonged use of many devices at once. 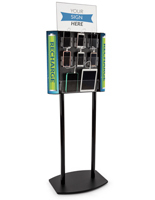 Enter: charging stations. These smart docking displays enable retailers, schools, and businesses to provide power for numerous handhelds in one convenient unit. 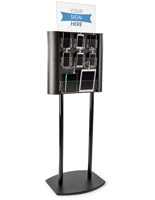 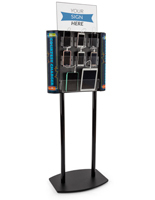 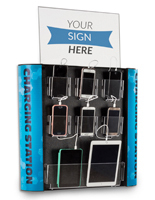 The phone and iPad docking stations charge between 8 and 16 touchscreen devices. 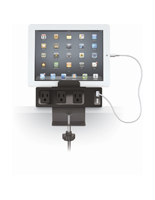 We offer Apple® Lightning and Micro-USB power connectors for supporting most of today's current devices. 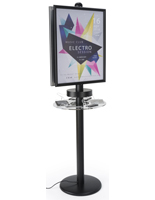 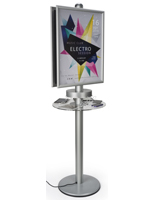 Which venues are especially conducive to public charging displays such as these? 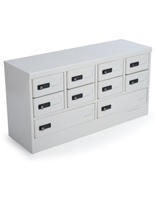 Desktop models are excellent choices for students or employees. 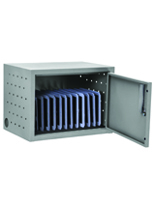 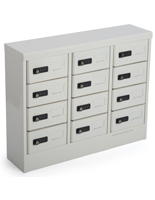 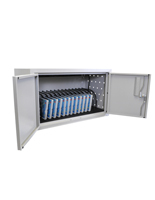 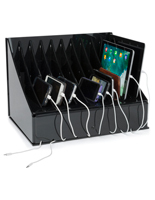 These come in either cabinet or open-rack styles and are more suited for charging tablets and iPads. 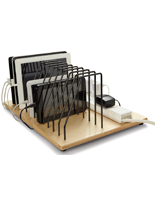 Wall mount stations feature clear pockets for storing a device while it charges. 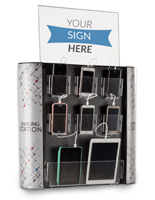 Sign holders are included at the top of the display that call attention to this free service. 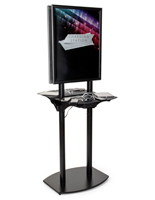 Several models also come with colorful graphics for additional recognition, located on each side. 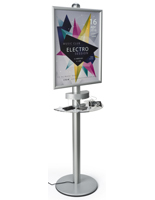 Floor standing stations offer much of the same features as the wall mount versions, but come with an added advantage. 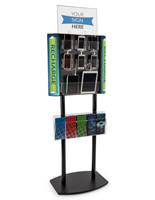 Strategic placement is an important consideration. 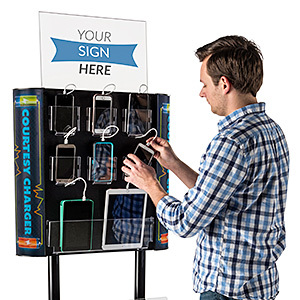 Place the stand at store entrances, in food courts, or other locations where people often congregate. 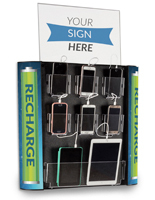 As a business owner, offering a free phone or tablet charging service provides a way to get potential customers in the door. 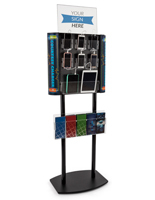 In addition, docking displays also keep people around longer, therefore increasing the chances of them spending money at your place of business.